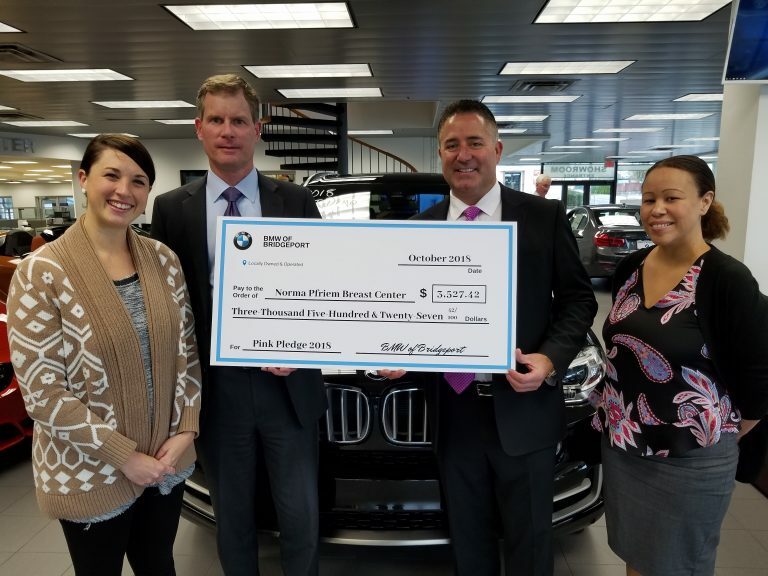 #Bridgeport CT– Last month we told you that BMW of Bridgeport was making a donation for every car purchased in the month on October to the Bridgeport Hospital Norma Pfriem Breast Center. Today, Mitch McManus, President of BMW of Bridgeport and General Manager Tim Kraemer presented the Center with a check for $3,527.42. Way to go!